In Connect 2018, we expanded our predefined application projects to include a collection of applications to create print quality PDFs. Tools so easy anyone can review customer supplied files for accuracy and print quality. Finally, tools for prepress that make different editing tasks simple and quick. 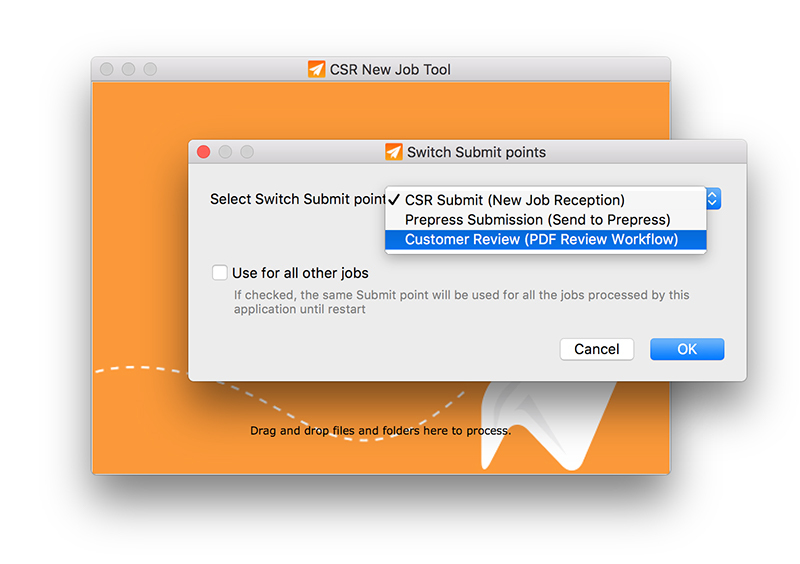 Submitting to Switch automation just got a lot easier with Connect 2018. Now, Connect applications allow users to select which Switch flow to send to when a file is submitted. This eliminates the need for a different application for each workflow. Connect 2018 now supports Pitstop 2018 Preflight Profiles and Action Lists, allowing you to take advantage of all the new features and technologies in the new Pitstop!. Greatly improve efficiency by taking advantage of the newest technologies.